Steve McQueen and his pals plot an escape from a German P.O.W. camp. 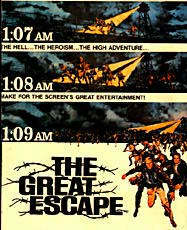 Director, John Sturges, scored a major hit with this film, which is one of the best World War 2 theme movies ever made.